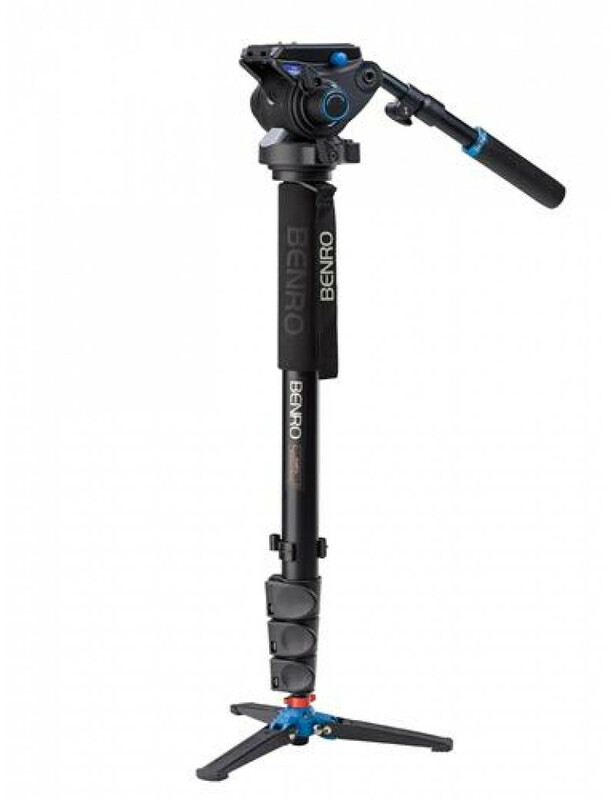 Perfect for run and gun videography, this Benro monopod is able to provide a surprising level of control. The 3 flip locks allow the pod to expand out to 68.5” and all the way down to 26”. It weighs just 4.3 lbs, yet can comfortable handle loads up to 8.8 lbs. Its integrated fluid S4 video head provides smooth panning which is useful since the base can be locked, allowing you to pan without turning the entire monopod. Includes a “crow’s foot” base.